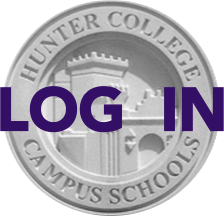 Read on for the Hunter College High School Orientation schedule that runs from Sept. 2 - 3 depending on your child's grade. All students will be photographed for student IDs & their school photos at each of these sessions. The first full day of school is Thursday, Sept. 4. Here is the orientation memo with all the information 7th-9th grade parents will need. And if you want to download the full school calendar, you can do so here. ◦ Grade 7 students plus their parents will convene in the auditorium to hear from various school administrators. Students then meet their Travel Classes (the group of about 25 students with whom they share most of the day), receive their schedules and Metrocards and have their Hunter ID photos taken. Parents have a session with PTA officers to learn more about the school and will have the opportunity to ask questions. • The end time (and occasionally the start time) will vary according to the student’s schedule and may be different each day; typical end times are 2:02, 2:46 and 3:30 PM. • Students will receive this information at Orientation. There are also no supply lists until classes begin; students will receive these from individual teachers if necessary.